It's been a long and cold winter here in South Australia. But finally the cherry trees are in blossom, there are lots of new buds on my roses, and my camellia is a glorious sight to behold, heavily in bloom. Spring is definitely in the air! Whilst we get prepared to bid farewell to winter, those of you following me from the Northern Hemisphere may have started to feel the autumn chill already. 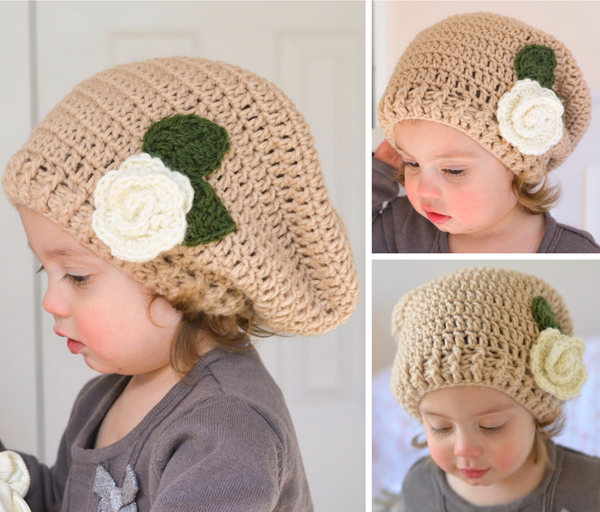 So hopefully some of the hats in this post (and my previous one) may inspire you to pull out your yarn and hooks! 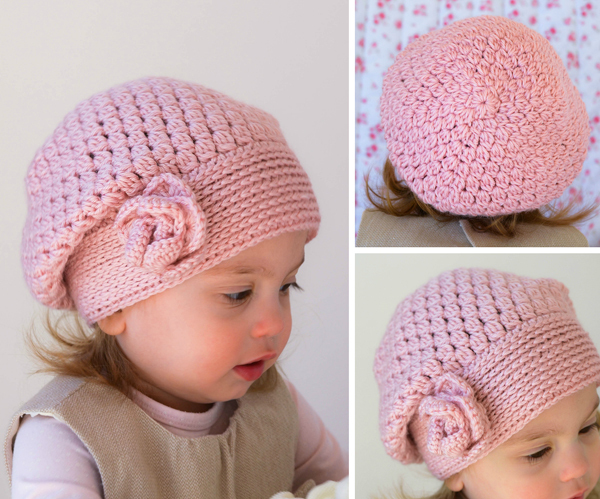 I named this hat the 'Rose Beret' both because of the colour of the yarn I used and the crochet rose on it. 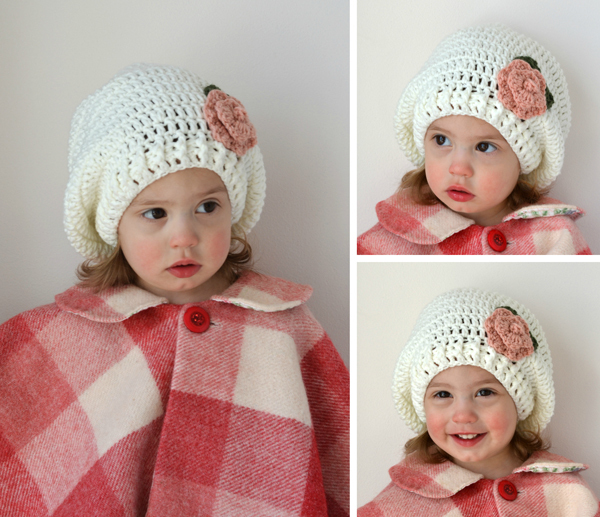 The pattern is by Tvorlvka on Etsy and can be purchased here. There is also a matching capelet pattern which I loved so I bought the complete set - it's on my to-do list, it will be perfect for the cooler spring days. The yarn is a super-soft acrylic yarn by Moda Vera Marvel (exclusive to Spotlight in Australia) which has the loveliest sheen. Unfortunately my local store has run out of this particular shade and they aren't getting any more in as they are ramping down their yarn stock for spring. 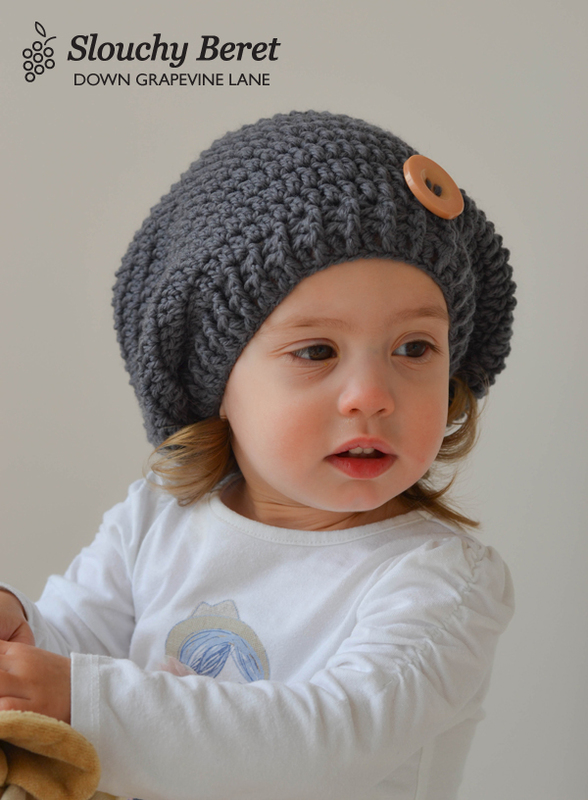 The second hat that I wanted to share with you today is a slouchy beret - all the rage these days. 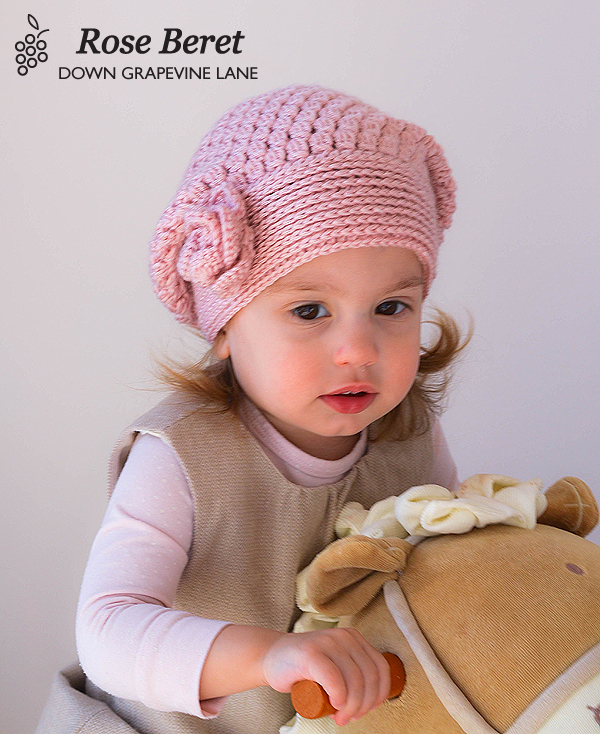 The pattern is by The Velvet Acorn on Etsy and can be purchased here. If you want to make one of these for a boy, just leave the flowers out and decorate with a button instead. So versatile! All these hats are absolutely beautiful as always.